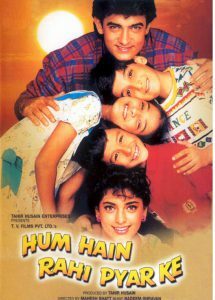 Interesting Information: Movie Won the 3 Filmfare awards and 2 National Awards which include Filmfare Best Film – Tahir Hussain, Filmfare Best Actress – Juhi Chawla, Filmfare Best Lyricist – Sameer for Ghunghat Ki Aad Se, National Film Special Jury Award, and Best Female Playback Singer National Award. 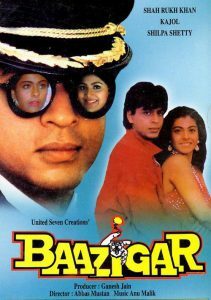 Interesting Information: Shah Rukh Khan received his 1st Best Actor Filmfare award for this movie. 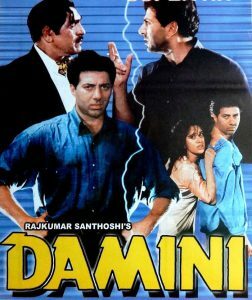 The film won the total 4 Filmfare awards which are Best Actor, Best Music – Anu Malik, Best Playback Singer Male – Kumar Sanu for “Yeh Kaali Kaali Aankhein”, Best Screenplay. The movie earned approx. 7.70 Crores at the box office and declared as a super hit. 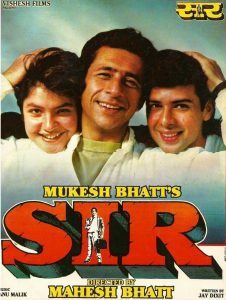 Interesting Information: Movie won the 2 National Awards which are Best Director and Best Supporting Actor – Sunny Deol. The film also earned 4 Filmfare awards which are Best Director, Best Supporting Actor, Best Story, Best Sound. The movie is still remembered for its iconic dialogues like “Tarikh Pe Tarikh”, “Yeh Dhai Kilo Ka Haat”. Interesting Information: This was the blockbuster Bollywood movie of the year 1993. The movie earned approx. 10.70 Crores at the box office. The film received a Best Popular Film National Award, Best Comedian Award for Anupam Kher and Best Cinematography award. 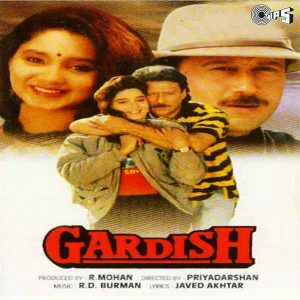 Interesting Information: This was the Highest Grossing Bollywood Movie Of The Year 1993 with the collection of 14 Crores approx. The film is among top 10 films of Govinda. 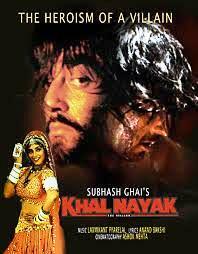 Interesting Information: “Khalnayak” remembered for Sanjay Dutt’s Iconic role of Villain “Ballu”. The movie was the 2nd highest grossing movie of the year and received 2 Filmfare awards which are Best Playback Singer Female – Alka Yagnik and Ila Arun for “Choli Ke Peeche” and Best Choreography won by Saroj Khan for Choli Ke Peeche. Interesting Information: One of the best performances of Jackie Shroff. The movie was a hit and won 3 Filmfare awards which include Best Action, Best Art Direction, Best Editing. Interesting Information: It was a real treat for cinema lovers to watch 2 most versatile actors of Bollywood Raaj Kumar and Nana Patekar. 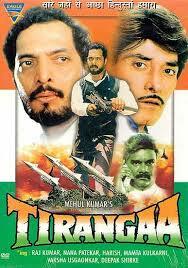 This movie is considered as one of the top 50 patriotic films made by Bollywood. Interesting Information: The movie won two Filmfare awards which are Best Villain – Paresh Rawal and Best Dialogue. The movie was an average hit at the box office but critically acclaimed by audiences. Interesting Information: Dimple Kapadia won the National Award for Best Actress for her remarkable work. 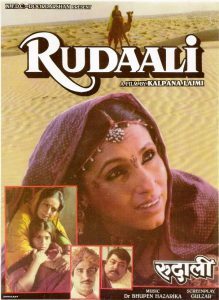 This was the last movie of legendary actor Amjad Khan. The movie also earned Best Art Direction and Best Costume Design national award for this movie. This is among the top 50 classic movies in Bollywood history. Interesting Information: “Maya Memsaab” won the Special Jury national award. 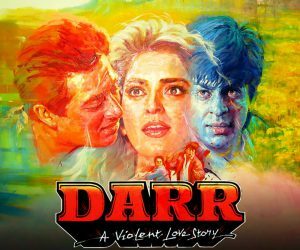 This was the most controversial movie of Shah Rukh Khan.